I'm getting a TVK post to you in the same month as I received the box for what feels like the first time this year! Woohoo! I love Ombar chocolate. It is creamy despite having no milk, and it's full of good-for-you probiotics. Healthy chocolate, what's not to love?! 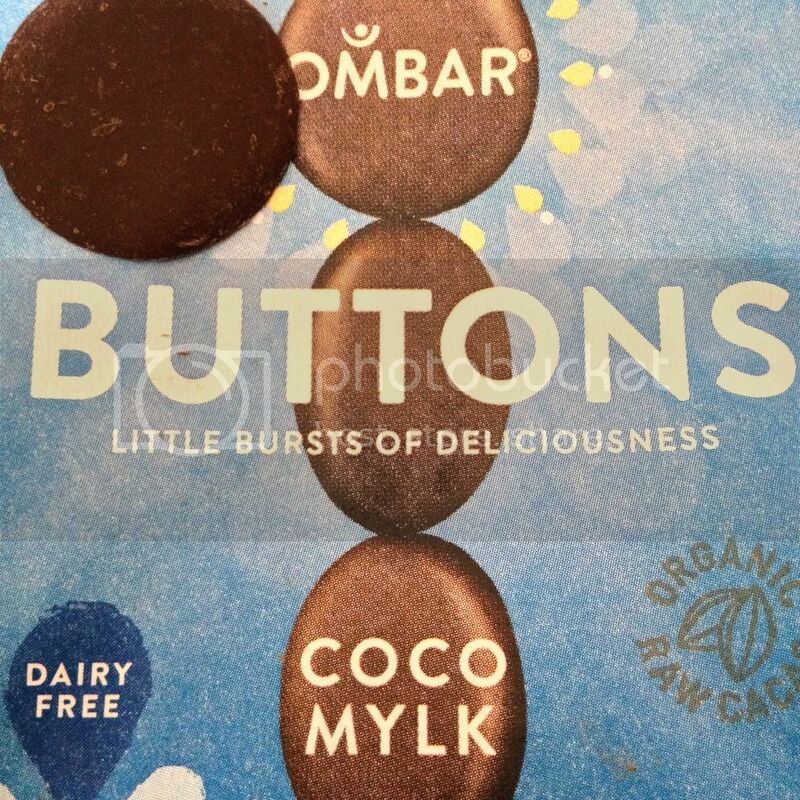 These buttons are a new addition to the Ombar family, and I had already hunted them down pretty soon after they were released - but I'll never say no to good chocolate! Mr Hatter also enjoys these, which is saying something as for a long time he wouldn't even try vegan chocolate! I think I am yet to discover a Faith in Nature product that I don't like. Everything they make smells good enough to eat, and this is no exception. It keeps my hands smelling like coconut for ages after I've used it! These are "oven roasted pitta chips with olive oil, fresh scotch bonnets and garlic". They are handmade in London and are a great alternative to potato chips. We had these for lunch today along with our epic Field Roast sausage sammiches (I will discuss Field Roast sausages in a later post). The pitta chips provide a great crunch, and had a tasty flavour. On a side note, I'd just like to point out the epicness of the above photo. 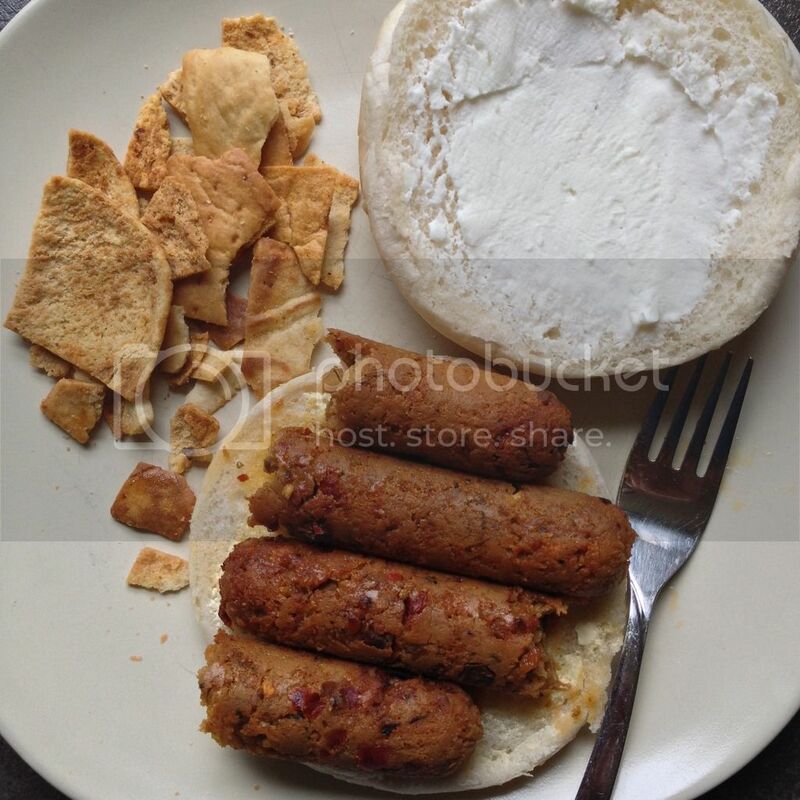 Field Roast Italian Sausage sammich with Violife Creamy - a match made in heaven! Another London-based company, eat chic is a brand I hadn't heard from before but will be buying from again! 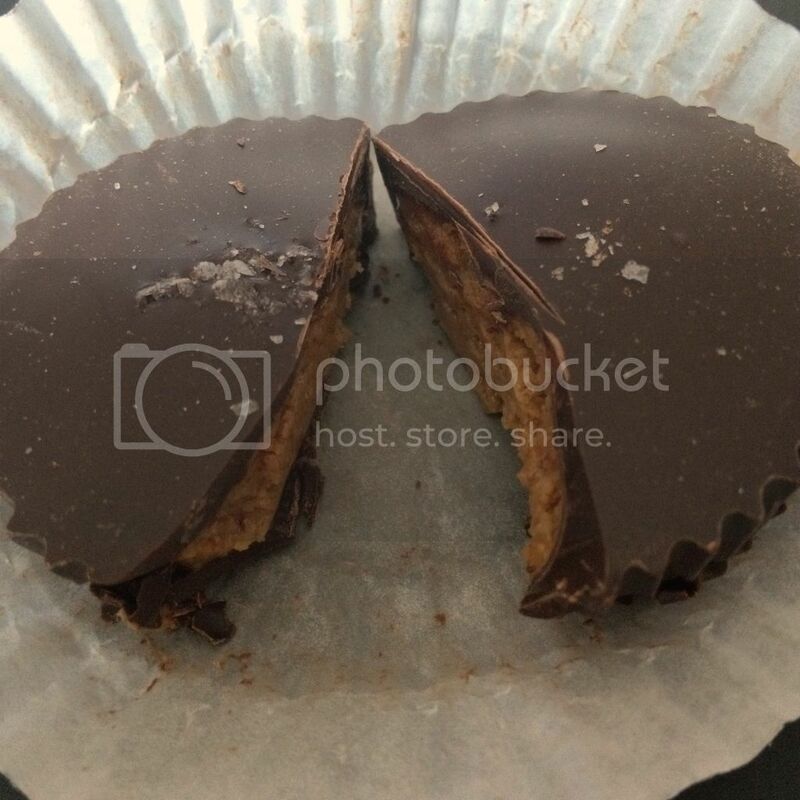 Their artisan take on a peanut butter cup was inspiring - I loved the addition of salt flakes on top. They do different varieties with other nut butters - the hazelnut one sounds particularly lush! This month's featured charity is C-A-L-F Animal Sanctuary, who run a vegan cafe in Scarborough, alongside an animal sanctuary. 10p from every box sold will be donated to them. This month's recipe is another from The Vegan Cookie Fairy - "Banana Ginger Butterscotch Muffins with Crunchy Topping". Try saying that three times fast! It does look tasty though, I love a good streusel topping. 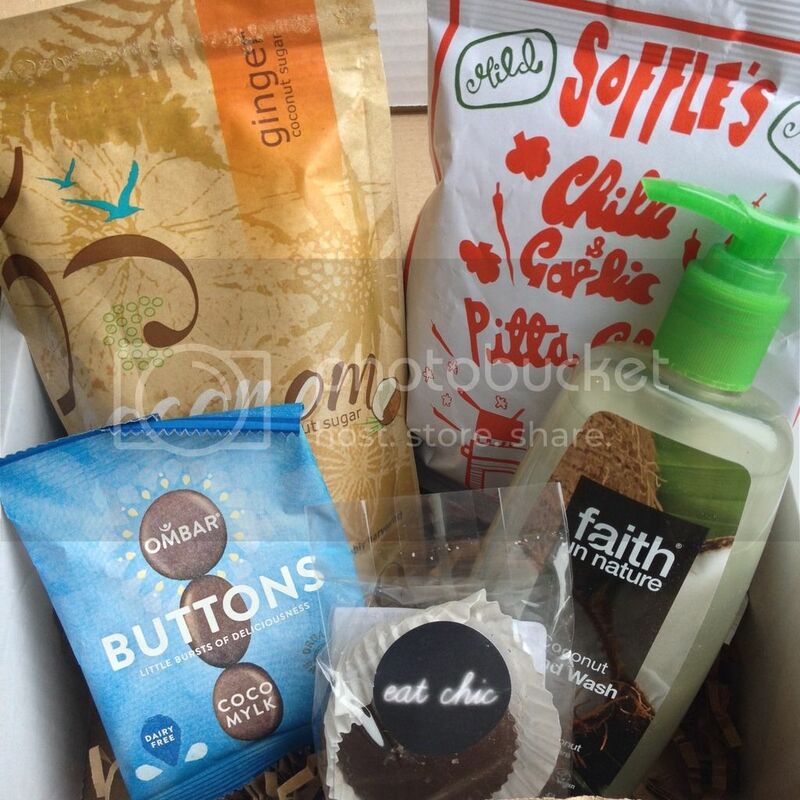 Mmm I'm looking forward to trying the buttons and peanut butter cup!